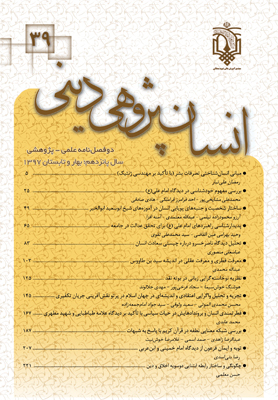 در باب رابطه دین و اخلاق صورت‌های مختلفی تصویر شده است؛ ازجمله رابطه عینیت، تعامل، ابتنا یا تعاند و ضدیت که هرکدام نیز اقسامی دارد. مقصود اصلی مقاله، تأکید بر ابتنای اخلاق و دین بر عقل است. از این ناحیه دین حق و معقول، پایه و اساس اخلاق و ضمانت اجرای آن و اخلاق صحیح و معقول، روح دین و جزء ‌دین و یکی از اهداف دین حق است. پس اگر عقل معیار حق و باطل باشد، نه احساس و عاطفه صرف و نه تعبد محض، آنگاه دین حق و اخلاق معقول به‌نحوی بر یکدیگر مبتنی هستند. The relationship between religion and ethics is established in a variety of ways such as sameness, interaction and contrast and each of them have a variety of types. The current research has emphasized on the mutually enhanced relationship between religion and ethic. From this point of view, on ne hand, religion is something right and rational and serves as the foundation of ethics and a guaranty for its enforcement. On the other, ethics spirit of religion, a part of it and among the objectives of religion. Thus, if religion is the distinction between right and wrong, rather than a mere feeling and emotion or absolute obedience, it can be stated that religion and ethics has a mutually enhanced relationship.